As the concept of ecotourism begins to take hold in Pakistan, Saba Gul Hasan describes the current hot spots. Top: Diran Guest House; bottom: Chap Shoro, a local delicacy of Gilgit Baltistan. In the last few years, inbound tourism to Pakistan has been on the rise with more than 1.75 million tourists visiting Pakistan in 2017 alone, 30% of whom were domestic travellers. According to the World Travel and Tourism Council (WTTC), revenue from tourism contributed approximately $19.4 billion to Pakistan’s economy last year and accounted for 6.9% of the GDP. In the next decade, the WTTC has estimated tourism earnings to hit a staggering $36.1 billion. While the increasing popularity of Pakistan as a tourist destination – both for locals and foreigners – presents a bright outlook for the future, it is important to be aware of the possible negative outcomes of this trend as well. As the number of people travelling up North has increased, so has the damage to the natural habitat of these regions endowed with a rich, diverse and exotic population of flora and fauna, as well as pristine lakes, streams, waterfalls and dense forests. 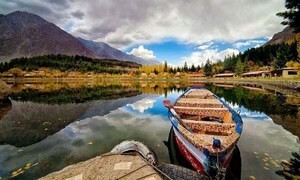 If the rapid environmental degradation of once sought-after places such as Babusar Top, Kaghan, Murree and Naran is anything to go by, it is imperative that travellers are made aware of their responsibility to preserve and conserve the areas they visit as they enjoy the greenery and serenity of these regions. The term ecotourism has already gone mainstream globally. It is considered one of the fastest-growing sub-sectors in the travel industry and accounts for about six percent of the world’s gross domestic product (source: UNWTO). In Pakistan, awareness of the term remains confined to a niche segment of frequent travellers for whom sustainability is at the heart of everything they do. 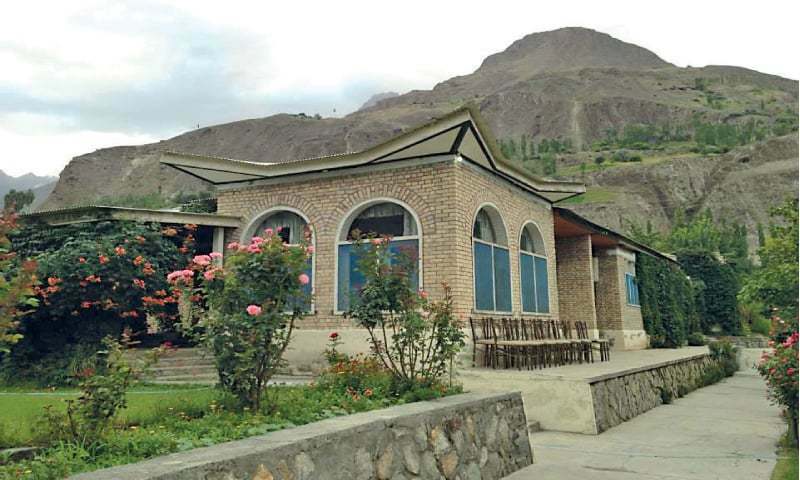 In Pakistan, there are only a handful of credible ecotour operators, according to whom the most popular areas for environmentally conscious tourists, both from within and outside of Pakistan are Gilgit Baltistan, Hunza, Skardu and a few nearby localities. The beauty of this kind of travel is to find places off the beaten path. Travelling as an ecotourist in 2017, I visited Skardu and the beautiful Deosai Valley. 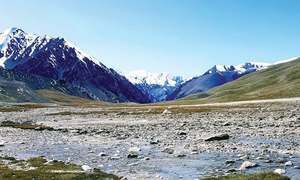 Deosai is a must visit for an ecotourist and the greatest attraction there is the Deosai National Park opened by the Government of Pakistan in 1993. The primary objective of the Park is the protection of the Himalayan Brown Bear, which is unique to this part of the world. This year took me to Nagar in Gilgit Baltistan, Soon Sakesar Valley near Kallar Kahar and the majestic plains of Sindh. I travelled by road and learnt that these remote locations are difficult to find even with GPS, because the roads have yet to be mapped. It is therefore advisable to either travel as part of a group with a tour operator (as I did) or hire a local guide to make sure you don’t get lost. The mountains hold incomparable beauty and Diran especially is an unexpected surprise. Osho Thang and Diran are one of the smaller villages in Nagar and for people travelling there, two guesthouses bearing the name of the villages welcome them. Interestingly, ecotourism is not limited only to Pakistan’s northern and central regions. Moving further south towards Sindh and off the National Highway, you will be surprised to see scattered communities that welcome visitors interested in archaeology and history. Abbas further said that the number of people in the guesthouses has increased and this has provided a new source of income to the villagers, many of whom we saw drying apricots for the winter ahead. While the bulk of the fruit grown is sold at the Hunza market nearby, many of the guests including myself, enjoyed the fruit on offer and would buy some daily. The women in Diran are known for their embroidery skills and have started offering hand-embroidered fabric on demand. Needless to say, the fact that their purchases help with the economic uplift of the women in the region is a major incentive for tourists such as myself to buy fabric and other handmade accessories, and also because they are unique and are ideal mementos. The Diran Guest House also prides itself on serving food, which is entirely sourced from Diran and a few nearby villages. 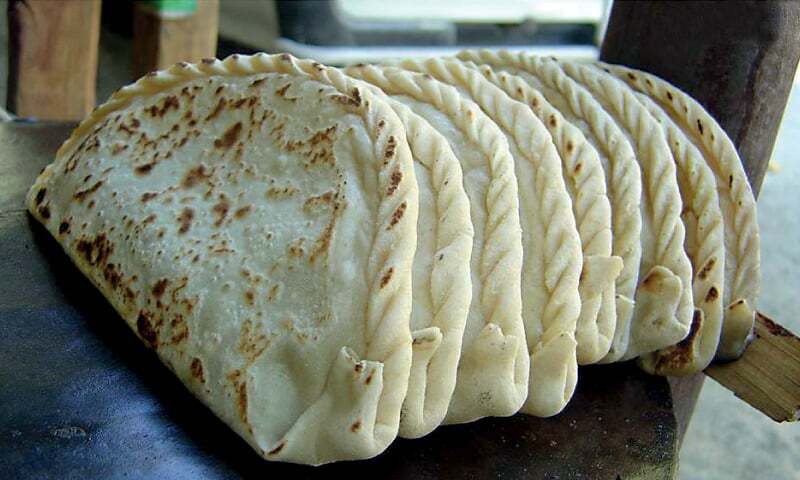 I would recommend the local delicacy Chap Shoro (a potato or minced meat filled chapatti) which you will not find anywhere else. Equally popular is the rose tea served there; no, it is not imported, but rather brewed from the leaves from their own rose garden. Moving from the north to the centre of Pakistan, ecotours are planned to cover Yazman Tehsil (Derawar Fort is a major attraction) and the mystical Panj Peer (Five Saints) rocks in Kotli Sattian, Kahuta. The increasing interest of local and foreign tourists in sustainable tourism has not gone unnoticed by the corporate sector, which is increasingly involved in activism initiatives, specifically with a sustainability angle. In August this year, the Sindh Engro Coal Mining Company’s (SECMC) welfare arm and the Thar Foundation signed an MoU with the Hashoo Foundation to develop the subsoil, water-filled 1,600-acre Gorano reservoir located in Islamkot Taulka (Tharparkar district) as an ecotourism destination. The SECMC have been using the reservoir as a storage facility for the underground water pumped out from their coalfield. Now, the SECMC have built a public park on top of the reservoir, which serves as a recreational avenue for the residents; fish farming onsite has also taken off. Since the reservoir attracts thousands of migratory birds every year, Gorano has the potential to be developed as a bird-watching destination as well, which will attract foreign tourism. SECMC is also planning to commercialise and streamline the value chain of moringa in the community. Moringa trees are ideal for desert areas such as Tharparkar as they do not need too much water, their leaves can serve as fodder for livestock and provide health benefits for people when chewed. Also, if SECMC succeed in their plan to commercialise moringa, Pakistan will be able to export the herb and its leaf powder that is in high demand in Europe. Plans are also underway to provide skill development to people in this impoverished area, particularly in the hospitality sector, especially given that although Tharparkar’s historical and natural destinations attract more than three million tourists every year adequate accommodation facilities for tourists are almost non-existent. If Tharparkar comes to life as an ecotourism destination, social and economic uplift of the local community, which is among the poorest in the country, will finally be possible. Really good read ,Being a Hosiptality and tourism student this definitely makes me happy to see pakistan getting recognition as a destination . Our govt need proper strategy, planning and management of our destinations. It’s extremely important that our cummunities are part of all this planning. We are already facing enviromental problems. I hope we don’t put economic gains above our environment and sooio cultural values. Having been there a decade or so back while working as an UNDP consultant on preparation of Tourism Master Plan, for Pakistan , I fully agree with the writer that ecotourism in Hunza, Chitral, Gilgit Baltistan, Kohistan, Swat, Kaferistan in the northern areas and Ziarat and Chiltan mountains near Quetta, have tremendous potential for ecotourism for both local and foreign tourists. The catch here is that we must have to offer an economic package covering air ticket, dependable, safe and secure mode of transportation to destination, comfortable and cheap accommodation at destination and above services of trained tour operators within the area, to attract such tourists. Our federal & provincial tourism departments can really help in promoting such tours by carrying out tourists attraction campaign through advertisements with the help of their embassy in the respective country. I have no doubt that such efforts will bear fruits and bring prosperity to local people of these destinations.